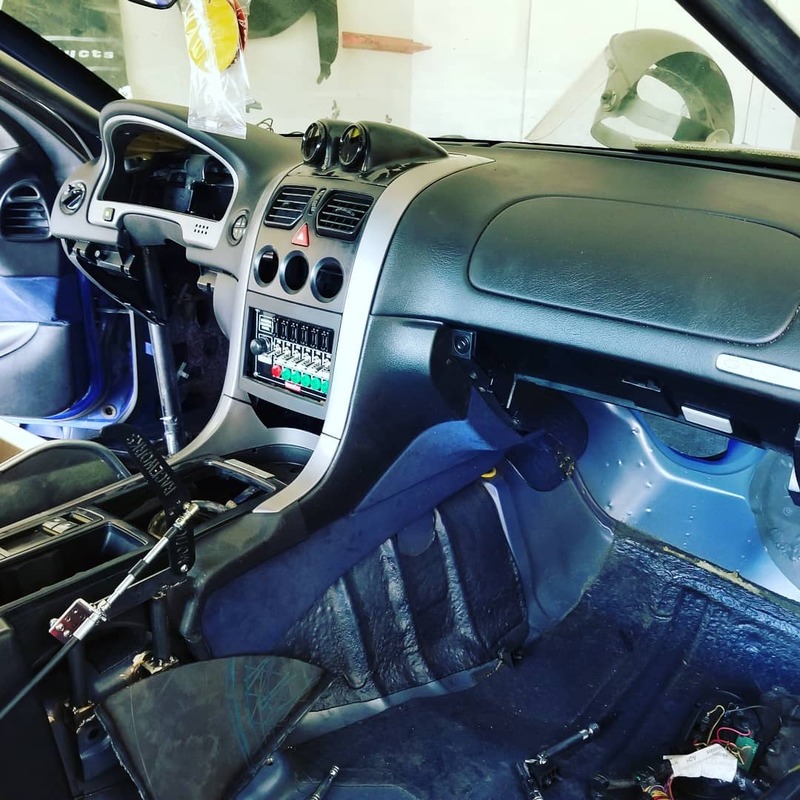 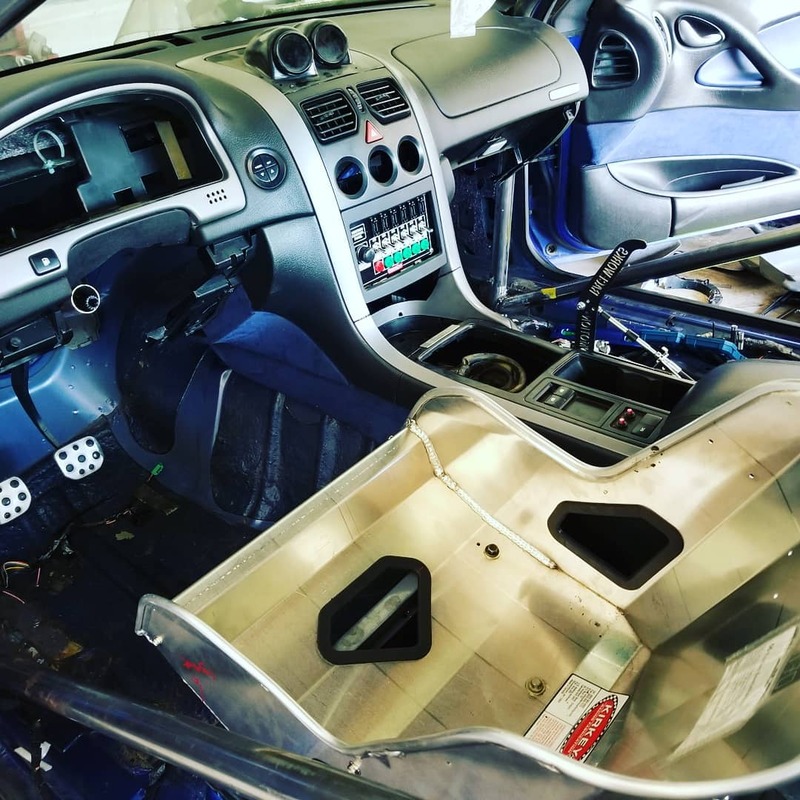 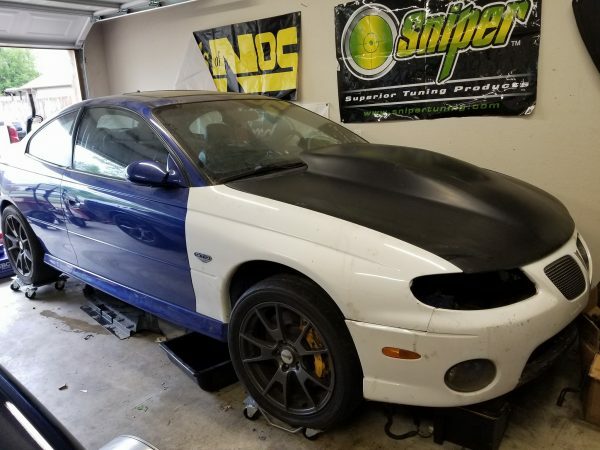 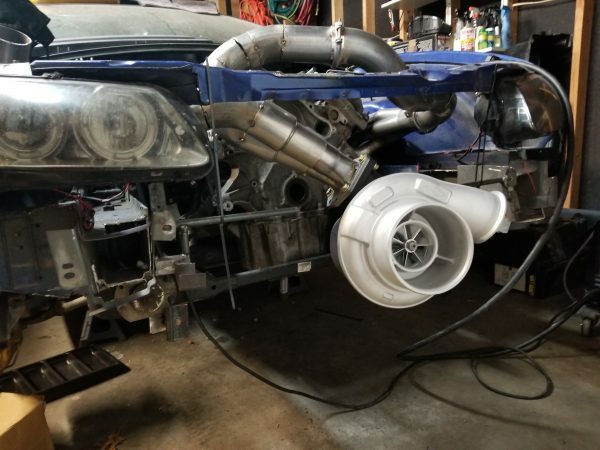 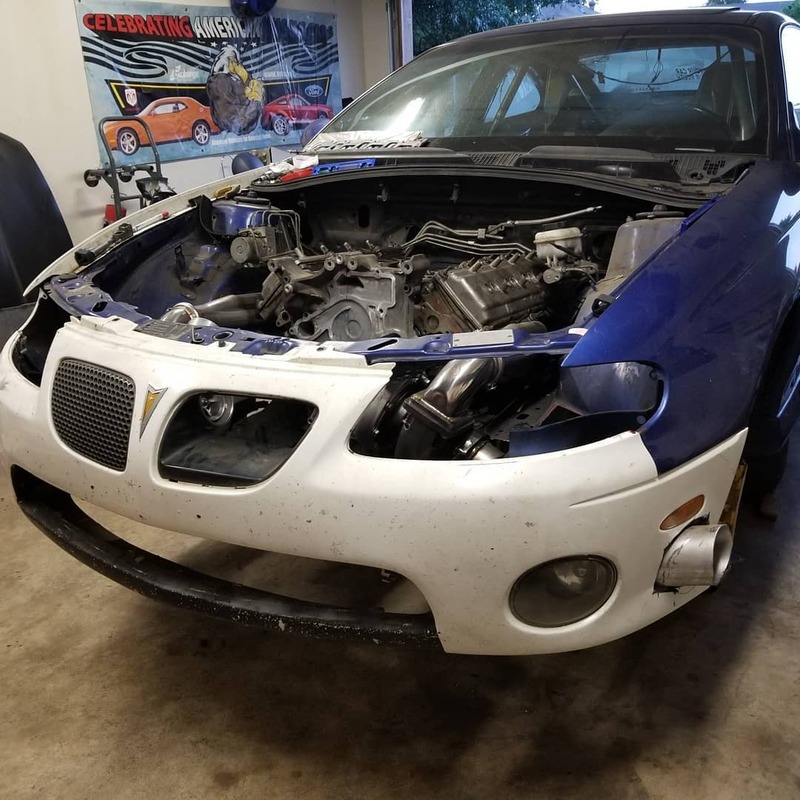 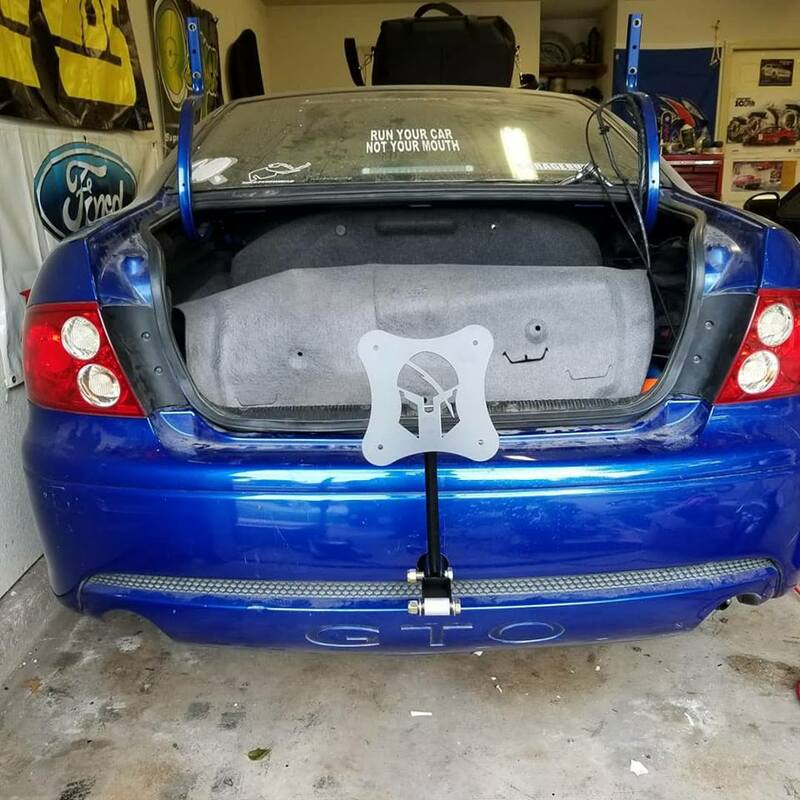 This 2005 Pontiac GTO is being built by Cardea at Around The Clock Performance in Florida for grudge and no-prep racing. 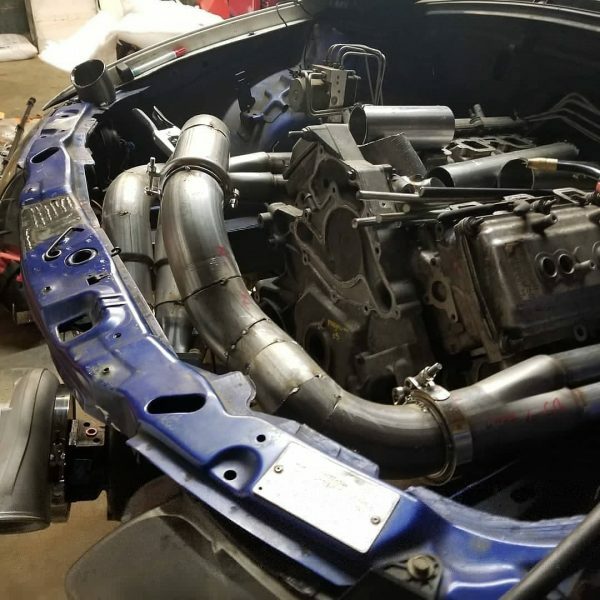 The factory 6.0 L LS2 V8 has been replaced with a turbocharged built Hemi V8 that expected to make 1,400+ horsepower with some nitrous. 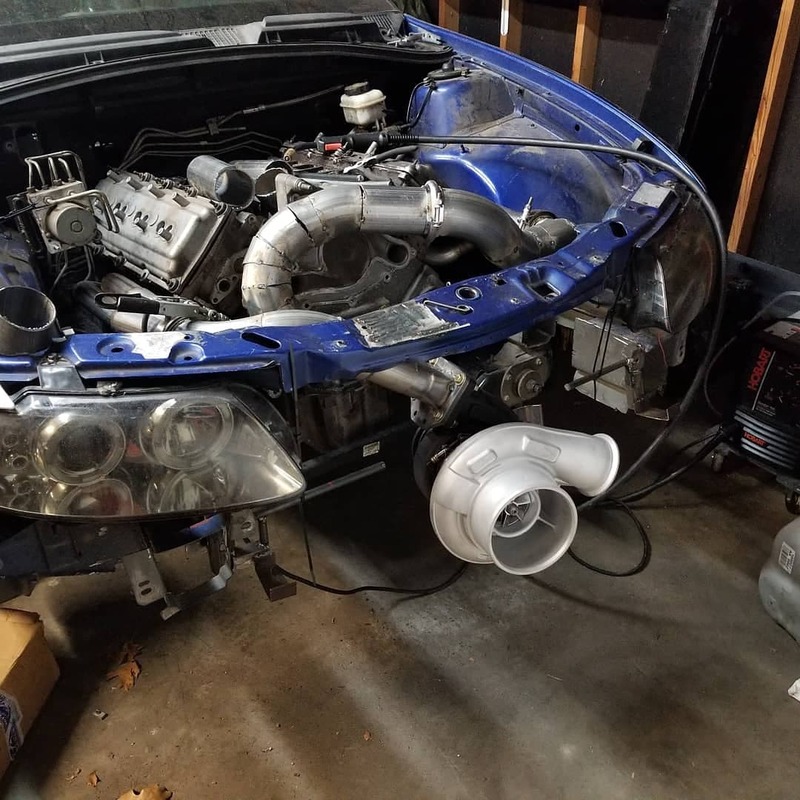 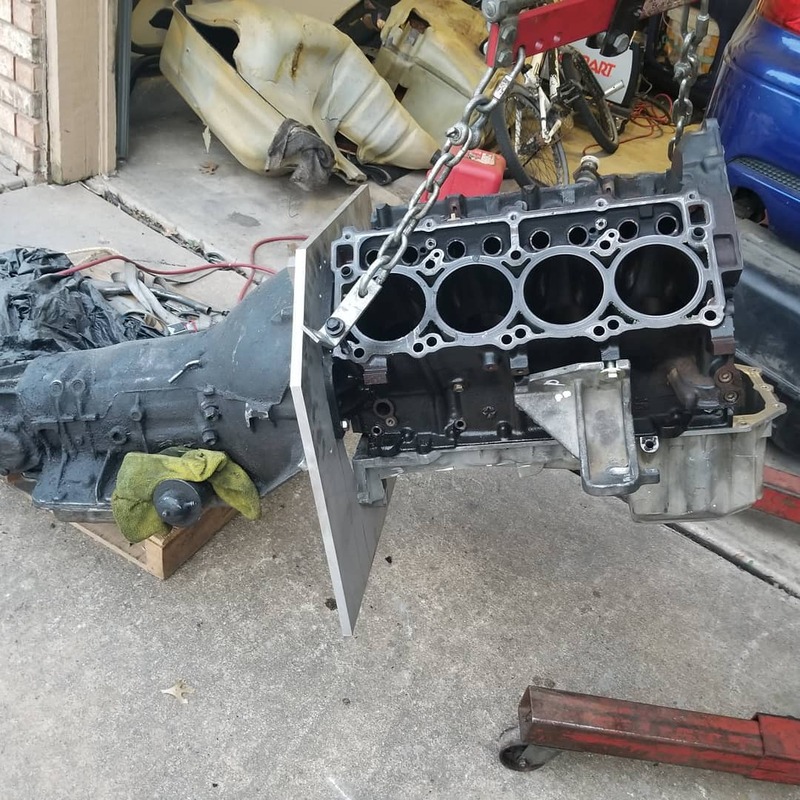 The engine features a 5.7 L block slightly bored and filled, forged pistons and rods, factory forged crank, 5.7 L or 6.1 L heads, truck intake, and Borgwarner S410sx turbocharger. 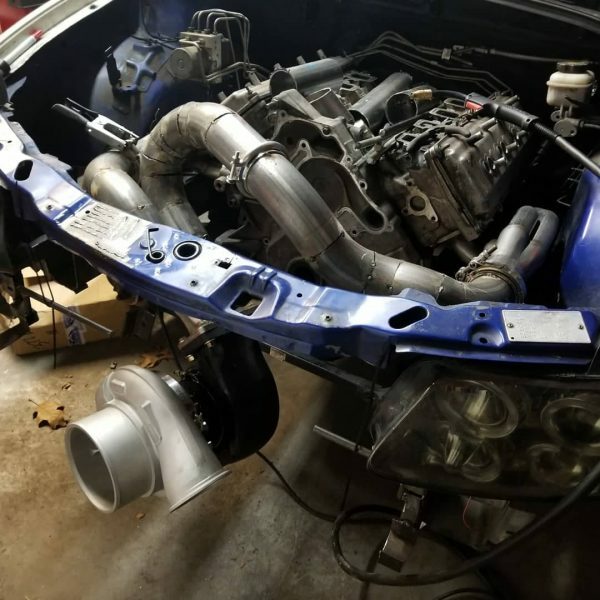 The engine was installed using a modified factory oil pan with modified LSx mounts. The drivetrain will be upgraded with a built TH400 automatic transmission connected to a G-Force Engineering 9-inch IRS with 35 spline axles. Follow the project’s progress on the Around The Clock Performance FB page.